Why Buy From Martin Kia? Looking for a New or Used Kia in Bowling Green? You’ve come to the right dealership! At Martin Kia we provide everything automotive, with great prices and customer service. With a new or used Kia from Bowling Green’s Martin Kia you’ll get a reliable and stylish new car at a price you can afford. Call us or make the drive from Owensboro, Elizabethtown, KY & Springfield, TN and see us in person. 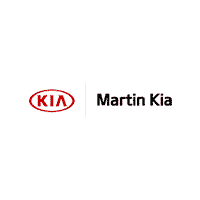 Martin Kia is a leading provider of new and used Kia cars to Bowling Green thanks to our quality automobiles, low prices, and superior sales staff. We encourage you to come and visit us at 2211 Scottsville Rd to view our selection in person, speak to a sales professional or take a new Kia car for a test drive. Call us if you have any questions about a new or used Kia vehicle that we can answer for you. Se Habla Español. If you live in the Bowling Green area and are in the market for a used car then check out Martin Kia. With a wide array of used Kia vehicles as well as many from some of today’s top auto manufacturers we are sure that there is something here for everyone. Since our used car selection is continually changing then check back often to see what is new on our lot or fill out our CarFinder form and we will find the car you are looking for. Do you need a car loan in Bowling Green? Stop by Martin Kia and check out all of the options that we have available. We work closely with a variety of lenders to draft the perfect finance plan for your needs, we can build a customized loan and lease program that suits your situation. Our finance department will do everything we can to create a finance plan that works with your lifestyle. This means that we car extend the term to lower monthly payments, or you can pay more to shorten the time of your car loan. Give us a call or better yet stop into our dealership to explore all your finance options for your next car. Do you need to repair your vehicle and are not sure where to take it? Come to Martin Kia and let our service technicians take the headache out of getting your car serviced. Our service crew has many years of experience servicing many makes and models. We will quickly diagnose the problem and get you back on the road where you should be. Martin Kia provides the Bowling Green area with Kia service and general repairs that are done efficiently and correctly make sure that your car is running top notch. Do you need help finding that specific part for your vehicle? We have a large stock of original Kia car parts so that we can complete your order in no time. If for some reason, we don’t have the car part you need then we will immediately work on acquiring it as soon as possible.